Patrik Skultety, Ph.D., Ing (MBA) moved to the Outer Banks, NC with his family in 2013 and has started his ministry at Mid-Atlantic Christian University in 2014 as an Assistant Professor of Management and LMS Administrator & Instructional Designer. Dr. Skultety’s academic career includes teaching, successful and active participation on three scientific projects under the European Union supervision, administrating responsibilities for IT and online services and support at Slovak University of Agriculture in Nitra, Slovakia. His professional career includes a variety of small business and corporate experiences that enhance his classroom instruction. He has published over 30 scientific articles with some citations of his work. Earlier in his career, Dr. Skultety owned and operated a small online and graphics marketing company in the European Union. He is also an author of the identification software and co-owner of INC. company producing children identification kits for police and sheriff’s departments helping to protect the kids. He earned his Master's in Business Management at Faculty of Economics and Management and Ph.D. in Environmental Management and Landscape Engineering at Faculty of European Studies and Regional Development and Faculty of Horticulture and Landscape Engineering at Slovak University of Agriculture in Nitra, Slovakia, European Union. He is also co-founder and Vice-President for International Affairs of Slovak University Institute, the non-profit institution helping university students and educators. 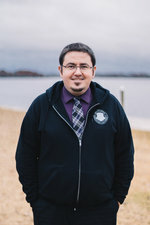 Dr. Skultety is an active member of Sonrise Church of Christ in Kill Devil Hills, Outer Banks, NC where he lives with his wife Zuzana and three kids - two sons Jacob, Matthew and the youngest daughter Viktoria. Dr. Skultety shows his passion for local youth Christian groups and people by supporting their plans, skills and projects. One of such a projects is “The Worship Collective” which is about supporting and equipping worship leaders from more than 20 local churches.